For 1 week only, the new Artist in Residence at VERTIGO Art Space is Matt Sesow. Please note that VERTIGO's normal hours are suspended during the Artist-in-Residence program. Hours are set by the artist, so please contact the artist directly for scheduling and appointments. 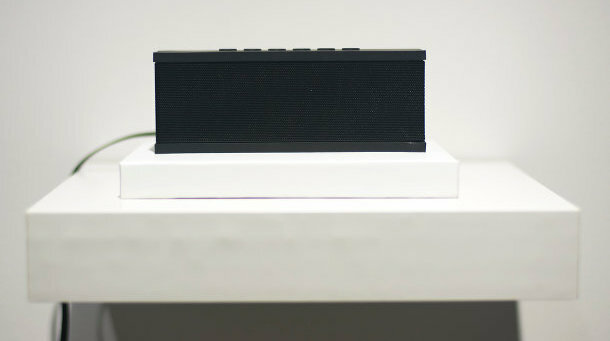 Vertigo Art Space is pleased to exhibit Daisy Patton’s sound installation I’m Perfectly Fine Without You, a body of work that explores the subject of absent fathers through the voices of their adult children. Previously shown in Boston, this will be first time it is installed as intended. The audience will be able to immerse themselves in a story-telling-based experience, hearing each speaker grapple with their complicated father. The combination of all the voices sums up a certain perspective that resists ideology and easy categorization. Each visit will yield a unique encounter as the personal confessions play in different sequences. From Los Angeles, Daisy Patton has a BFA in Studio Arts from the University of Oklahoma with minors in History and Art History and an Honors degree. Her MFA is from The School of the Museum of Fine Arts, a multi-disciplinary program at Boston/Tufts University. With an art practice devoted to history and memory, she has shown nationally in Boston, Washington D.C., and California, with upcoming shows in Austin, TX, and Everett, WA. 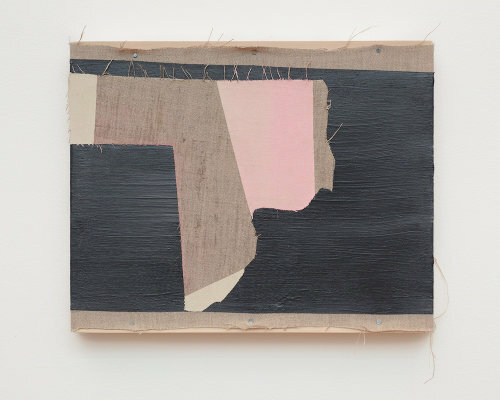 Currently a resident at RedLine in Denver, Patton is represented by Michael Warren Contemporary. (this is a picture of) your dad, Carin Rodenborn 2015. Photo by Wes Maygar. (this is a picture of) a state of mind not the name of texas, Carin Rodenborn 2015. Photo by Wes Maygar. 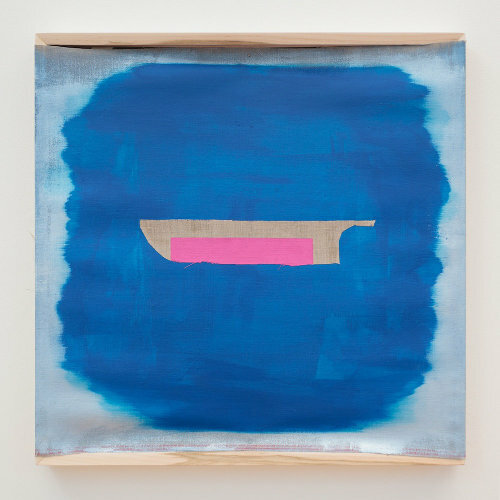 (this is a picture of) totally saturated nourishment, Carin Rodenborn, 2015. Photo by Wes Maygar. this is a picture of is an exhibition of acrylic paintings on linen by Carin Rodenborn. Of: a preposition used to show belonging, relating, or a state of connection with or to. Of what is it a picture? Carin Rodenborn explores the reach of picturing's subject, and what's just beyond reach. 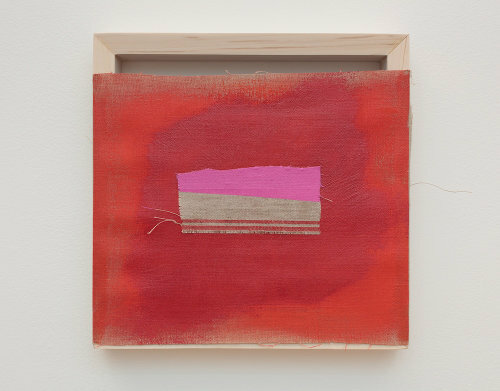 Curious about formal and metaphorical connections and convergences, Rodenborn experiments with how form and metaphor play on each other through color, shape, space and a consideration of edges. Her work has always been rooted in painting, yet when immersed in the process, she is often more involved with the object of a painting than she is the image. In this way, a material sensitivity transcends meaning. In this body of work, as in much of her work, the crossroads of geometric and expressive qualities of abstraction together embody both vulnerability and a sense of strength. I have tried to remove weight, sometimes from people, sometimes from heavenly bodies, sometimes from cities; above all I have tried to remove weight from the structure of stories and from language. Like Calvino, I am looking for ways to suggest lightness. I am curious about formal and metaphorical connections and convergences, and how form and metaphor play on each other through color, shape, space and a consideration of edges. Lightness is found both in this playful banter and in a material lightness of touch. My approach is an exploration of spaciousness through an inquisitive experimentation with materials. I work with both traditional and non-traditional materials in a painting and drawing practice that often looks a lot like sculpture. My work has always been rooted in painting, yet, when immersed in the process, I am more often involved with the object of a painting than I am the image. There is a sense of wonder in the search for and the study of the poetics of painting and drawing that makes for a joyful, if not sometimes awkward, pursuit. For me, both the joy and awkwardness present in this pursuit meet at the crossroads of geometric and expressive qualities of abstraction that together embody both vulnerability and a sense of strength. Carin Rodenborn is a visual artist and writer of creative nonfiction. Both her visual work and writing often explore hybrid forms. She is an Iowa native, and now makes her home in Denver. She received her BFA from Iowa State University and her MFA from Rutgers University. Her visual work has been exhibited throughout the United States, and she is co-founder and editor of Dime and Honey, an online publication that looks at and celebrates the intersection of art and life. Additional images available upon request.